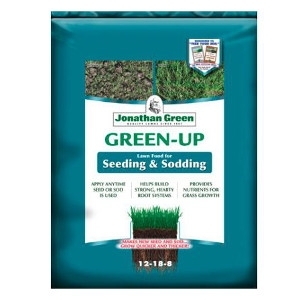 Use when seeding, overseeding or sodding. This high phosphorus formula helps to build a vigorous root system and gets new grass plantings off to a fast start for a thicker, greener lawn. Use under new sod lawn installations. Contains 1% iron for deep-greening and 30% slow-release nitrogen. Contains humates for root development.